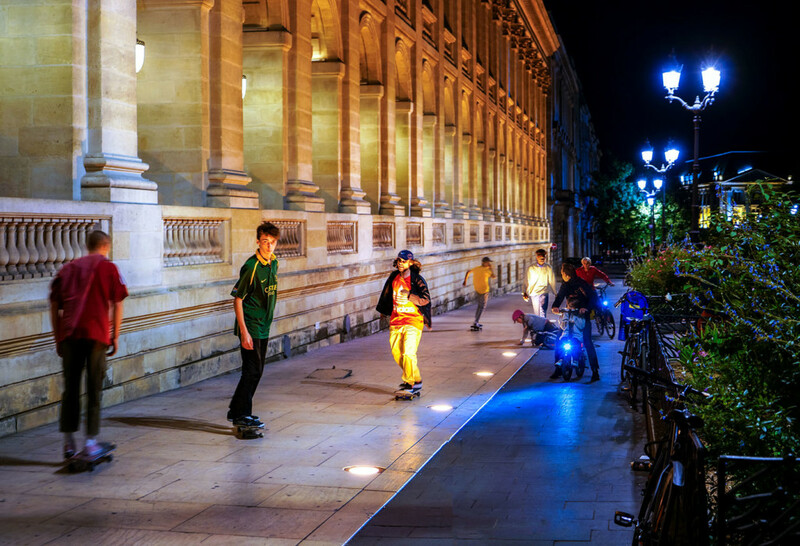 The city of Bordeaux is full of life in the night. Many places and streets are crowded a constant bustle. Skateboarders were performing between the old buildings. They showed acrobatic figures. I have always admired the skipping of the skateboard while driving, changing direction, then driving in the opposite direction. And all without a fall.